At la la sew, we teach kids how to sew. Sewing is a traditional craft with modern appeal. Kids LOVE designing and making their own unique clothes, accessories, stuffed animals, gifts, and bedroom decor. Handmade is way cooler than what you can buy at a store, plus there's the bragging rights! relaxed - perfection is over-rated. happiness - making things feels good. 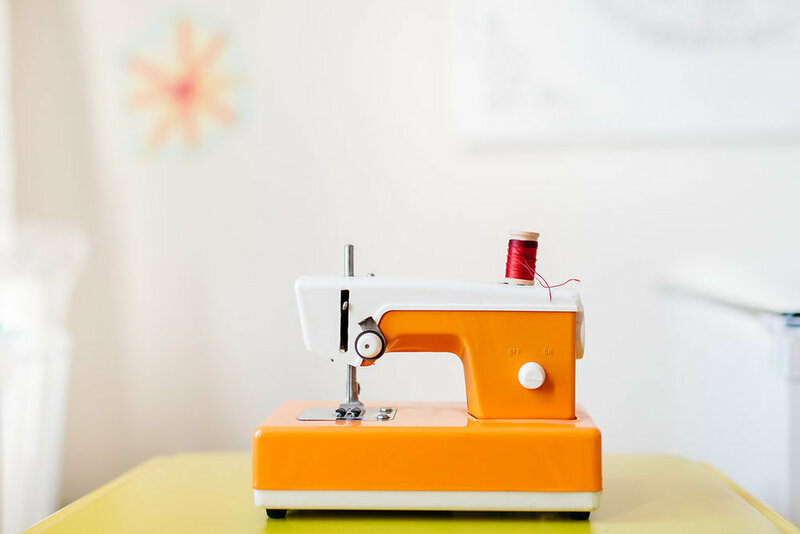 Beginner Lessons- We start with the basics: machine safety, sewing a straight line, back stitching, pinning fabric, clipping threads. Then we move on to turning corners, top stitching, imbedding straps and appliqué. Before you know it, you've made something 100% unique. $25/1.5 hour lesson. After-school Sewing Lessons- Meet once a month for 1.5 hours to make a unique project in a small group (2-4 students). $25/1.5 hour lesson includes all materials and equipment. Home-schooler Sewing Lessons- Daytime group lessons are available for home-schoolers upon request. We will develop a curriculum to meet your sewing goals. Contact me to schedule a lesson. $25/1.5 hour lesson/child. Maximum of 4 per group. No School Fun Day- No School Fun Days are a chance to be creative and productive with friends on a day when schools are closed. These workshops are perfect for beginners or experienced students, so invite your classmates! Workshops- These extra special classes pop up around special holidays (Valentines Day, Mother’s Day, etc). Space is limited and they fill up quickly. Waiting list- submit the form below to be contacted about sewing lessons for your child. Thank you for your interest in La La Sew. I will be in touch with you as soon as possible to answer your questions and find an opportunity for your child to learn to sew.